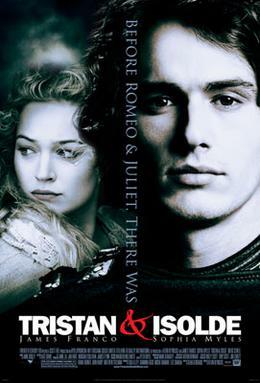 In the movie Tristan and Isolde (2006), Arthurian themes of chivalry and forbidden love rise to the surface. In the movie, Tristan of Aragon is the true-born son to an English lord, and the adopted son of the most powerful lord in a fragmented England. One day, in a battle with the Irish, Tristan falls and is presumed dead. According to the customary funeral rites of his people, he is placed in a boat and pushed out to sea, where he washes up on the Irish shore. There, he meets the Irish Celtic princess, Isolde, and they end up falling in love. To further destroy England, the Irish king sets up a tournament to further divide the states, promising his daughter’s hand in marriage to the winner. Tristan wins her hand for Marke, not knowing who she really is. Once Isolde is married to his father figure, Tristan attempts to end the affair; regardless, it continues discreetly. Ultimately, they are discovered and Marke is devastated. As the city is crumbling from an Irish attack, Tristan jumps back into the fray and saves Marke’s life, losing his in the process. Critics did not enjoy the film. The critic David Jays said: “the film cannot survive Dean Georgaris' remarkably terrible screenplay, some of which even sounds like an unhappy opera translation.” Critics like Jays lamented the film’s frequent anachronisms, saying that, in one scene, the two lovers were reciting a poem that was not written until the Renaissance. Many claimeds the film deviated too much from the original legend. According to Britannica, the original legends circulated in twelfth- and thirteenth-century poetry. Originally, it is speculated that the legends began as oral history. When the Normans invaded England, these oral legends were transformed into French romances written by authors Beroul and Thomas. The texts we have from these authors, however, are fragmentary. In some of the original poems, Tristan goes to Ireland to pick up Marke’s new wife; however, on the way home, the two drink a love potion intended for Iseult and Marke. In different versions, this is done on purpose though it is an accident in other texts. Marke frequently seeks to entrap the lovers, though they use their cunning and wits to elude him. Later, Tristan takes a wife, also called Isolde. One day, he is wounded by a poisoned blade and says only his lover Iseult can heal him. He dies before she arrives, and she dies of a broken heart. The legend says that upon their graves, trees grow with the branches entwined. The oldest known Middle English version of the text is a poem called Sir Tristram and is preserved in the Auchinleck Manuscript, which is currently kept in the National Library of Scotland; this poem is about 3344 lines long. In the movie Isolde is shown exhibiting more agency than other typical ingénues of French romance. For example, she displays medical knowledge for using herbs to mix elixirs and antidotes. In addition, throughout her affair with Tristan, Isolde shows her willingness to continue the affair as a type of rebellion against not having the freedom to choose her own husband. Before meeting Tristan, Isolde is promised to an Irish warrior, who speaks to her crudely before leaving for Britain. After her betrothed is killed by Tristan, her father establishes her as a prize in a tournament, that is rigged to favor certain players. Though she protests to being treated like cattle, it does not change how her father treats her. She does not want to be relinquished to a loveless marriage, she refuses to run away with Tristan because she wants to perform her duty. When Tristan proclaims that their affair must end, she continues to lay with him until they are finally caught. According to Medieval Leyrwite: A Historical Note on Female Fornication, people caught having premarital or extra-marital affairs were subject to paying penances to the church for their crimes. In these church records, some offenders were not named. Oftentimes, married women were not convicted because they could claim the children as offsprings of their husband. The prices of the fines were determined by the gravity of the sin. Frequently, women paid their own fines, though it was also common for a family member to pay the fine for them. 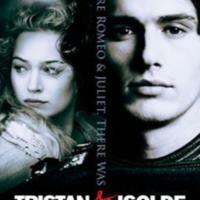 Elizabeth Cini, “Tristan + Isolde (2006),” Medieval Hollywood, accessed April 21, 2019, http://medievalhollywood.ace.fordham.edu/items/show/177.